White Center's "Locker Room" was included in Mike Seeley's 10 Most Intimidating Dive Bars in Seattle (presumably in the top 7 now, as three others have gone out of business in the past 6 months) and The Stranger calls it "feared by locals." 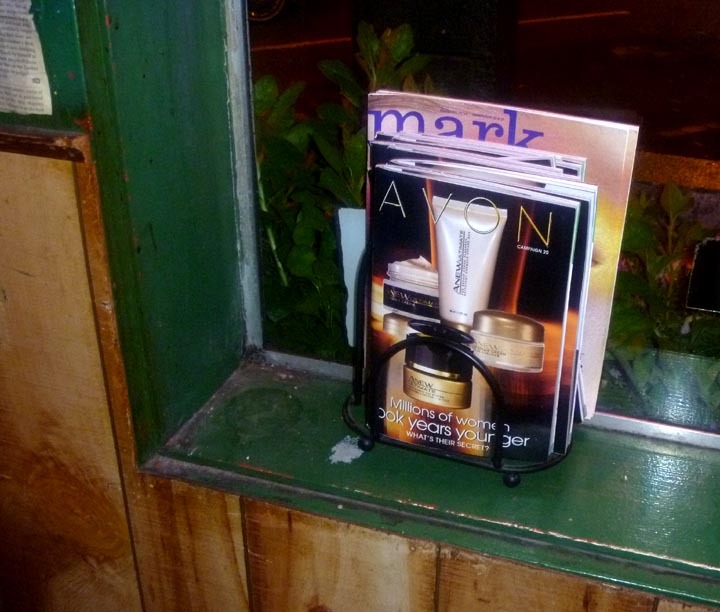 So what is it doing with a rack of Avon catalogs in the window? On the Saturday night that I went the street was filled with police cars, but the drama was coming from elsewhere -- the liquor-less Evo dance club up the street seems to have been the source of all the excitement and police attention in recent months. The Locker Room, on the other hand, just had a bunch of heavyset people singing karaoke. Historical notes: There was a bar in this building at least as far back as the 30s, with a beer parlor owned by Glen C. Stevens listed in the 1939 city guides. It may go back near the end of prohibition, as the building was constructed in 1933. 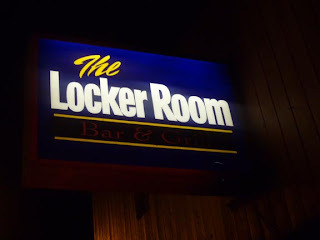 By 1960 it was the J&W Tavern (J&W Saloon by 1980) and by 1990 it was the Locker Room. Went to this place on a Tuesday evening and there were quite a few people there. 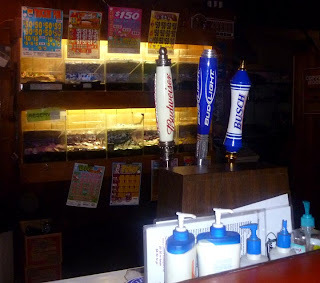 The bartender and the owner were present and extremely friendly and so were the patrons. A few people introduced themselves to me and the atmosphere was upbeat. Good music, dart boards, pull-tabs, karaoke, not dark and stuffy. I definitely will go back to this place!